So, remember how we said Disney and Blumhouse would be the two success stories of 2019? Not so fast, I guess. Blumhouse is now 1-1 and Disney will have the same record now that Dumbo has made its way into theaters. Granted, Blumhouse's Happy Death Day 2U is much better in scale, since it's at least going to make its budget back and find lots of life on home video. Dumbo, on the other hand is budgeted at about $170 million, so it was going to need a lot of success for Disney to make its money back. 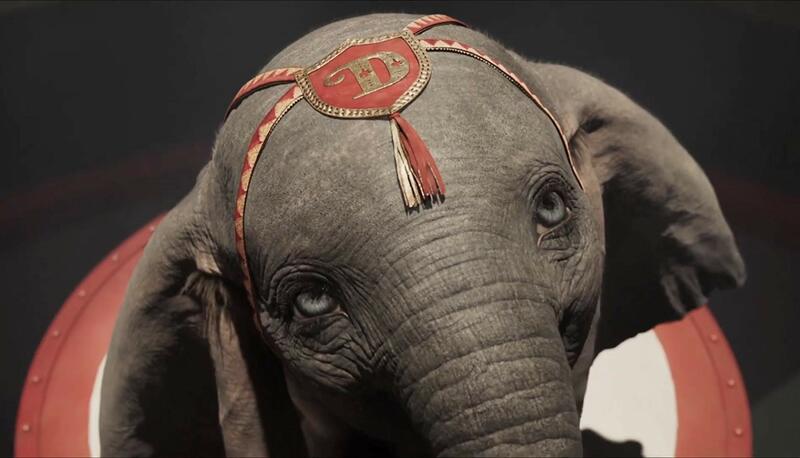 With a $15.3 million Friday, Dumbo would have to REALLY hope for a big Saturday in order to cross the $50 million threshold. I don't think it's going to get there. $45 million sounds about right. What went wrong here? I think there's a few issues at hand. First and foremost is that even though the animated film is a truly beloved animated classic, it doesn't have the same kind of interest or cachet as a remake of a princess movie like Cinderella or Beauty and the Beast (or the upcoming Lion King, one of the biggest animated triumphs in history). Dumbo is adorable, but with a 1941 release, so much time has passed that other films have been able to surpass it in the public's fondness.